The Golf Club atmosphere at Floresta Parque is probably the best on the Algarve. You will always find a warm welcome from any member at the Spikes bar. The atmosphere is relaxed and friendly and where golfers may swap stories whilst enjoying one of the finest views in the golfing Algarve and enjoy a relaxing drink after a “hard” days golf. The Course is a good challenge to any golfer and an enjoyable day is guaranteed. Floresta Parque Golf Club was officially formed in 1994, following the acquisition of Parque da Floresta by the Vigia Group. Operated as a traditional Golf Club with a President, Captain, Secretary, Committee, etc., it is now one of 73 clubs affiliated to the Portuguese Golf Federation. The club has a total of 250 members (including those from overseas) and holds regular golf festivals, twice weekly competitions and boasts a busy social calendar for residents and visitors alike. Handicap certificates can be issued to members and these are calculated using the “Slope Rating” system, in accordance with European Golf Associations recent directive’s. 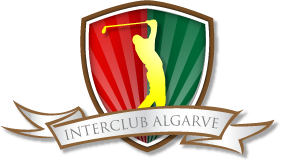 Thanks to the “Project Drive”, scheme set up by the Portuguese Federation to encourage under 21’s to become involved in the sport through free weekly golf lessons, the future looks bright for the club to win many more titles! The Golf Course has a good practice area and its resident golfing professional is always at hand at the driving range for those tips that make all the difference!